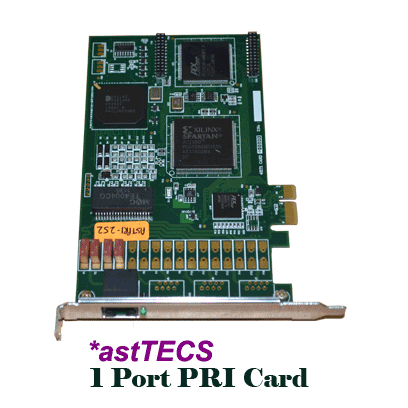 *astTECS offers *ast 1 PRI, the single port digital PRI card at the market competitive rate. The *ast 1 PRI card is capable to support up to 30 voice calls per span, full-duplex data throughput. The card can be used to create powerful PBX system with Asterisk – the open source platform. To further improve the output, we need to add the 128ms Hardware based Echo Cancellation Module and reach the highest standard in voice quality on the market.